The sun sets over the second city. Graves yawn and shadows stretch as the night comes awake. And you’re on a strange corner of Chicago, where mysteries gather. At Lakeshore & Limbo. 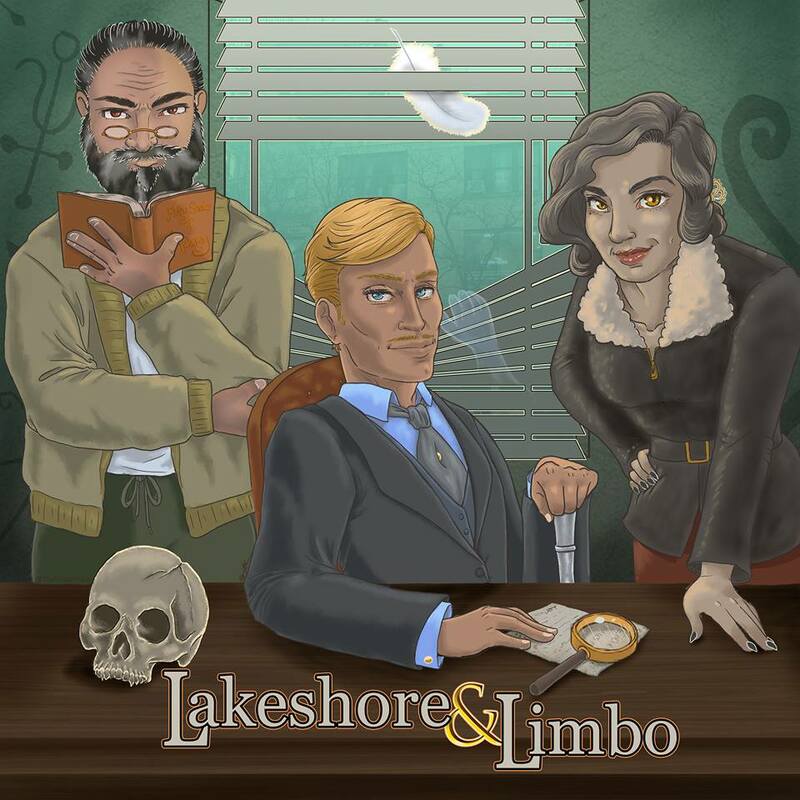 Lakeshore & Limbo is an improvised Occult-Noir story, told using the rules of the Freeform Universal tabletop roleplaying game system. is a detective, who looks an awful lot like a golden age film star that must be dead by now. Surely someone trying to hide their identity and suspiciously long life wouldn’t be vain enough to decorate their detective office with their own old movie posters… surely. Vince is played by C.J. Tuor. is Vince’s crotchety partner in the detective agency. He keeps his nose buried in his grimoires, despite the multiple occasions they have awoken from their millennia of sleep and tried to bite it off. Sassy is a young woman who used to be a cat. She does the bare minimum to conceal that fact and behave like a human, despite Vince and Abe’s constant pleading. Her criminal past means she’s not exactly a partner, but if there’s going to be supernatural cat burglary anyway, it might as well be put to good use. James Harvey Freetly is me. I’m the narrator and writer of the cases! I’m a Chicago nerd, an “occult” history nerd, and a tabletop game nerd. So this is my dream project with my dream performers.